ROAD TOWN, Tortola, VI – Police are looking into the circumstances surrounding a boating incident which resulted in injuries to the boat captain and the death of the only passenger, Chaim Todman, 34, of Johnson Ghut, in Jost Van Dyke yesterday afternoon. Preliminary reports indicate that after 6:30pm yesterday, a 21-foot speed boat entitled ‘1-800-Collect’ was heading out of White Bay with the captain and passenger onboard when, for reasons unknown at this time, both occupants were ejected from the vessel. Assistance was provided by boaters in the area to transport the two passengers to Road Town to seek medical attention. Upon arrival at Peebles Hospital, Chaim Todman was unresponsive and was shortly after pronounced dead. The boat captain was in stable condition and continues to receive treatment at Peebles Hospital. The speed boat sustained damage in the incident. Police are liaising with the family of the deceased while continuing investigations into the matter. ROAD TOWN, Tortola, VI – An outpouring of grief and disbelief took over last evening, September 1, 2013 following the injury and subsequent death of Chaim Todman, 34, which occurred near the sister isle of Jost Van Dyke. "No no no Chaim Todman u was at my business yesterday telling how far i could make it and now it hurt me cause u leave with good words in my heart Good friends come and good friend go but u always be in my mind cause your in a better place To all family and friends stay strong Musa Claxton. I feel your pain," read the comments from one friend on Todman's Facebook page on hearing the news of his death. Another stated, "Dread My Heart Hurting!!. . . To Know We Was Jus Together Last Night Having A Drink & Partying. . . And Now To Hear This Hurtful News. . . . U Will B Truly Missed. . . RIP Sighhh." “I am so much shock, I just get rid of a headache now I get back another one...just barely a month ago we were in church christening his son...I have known him forever at least 25 years..,” was the reaction from another friend. Close friends left the island of Tortola yesterday to attend a fun day and boating event but this exercise was subsequently cancelled, according to sources. While details of the incident remain sketchy, it is understood that Todman’s close friend, Mustafa Claxton, 27, was also involved in the accident and is currently in stable condition receiving medical treatment at Peebles Hospital. 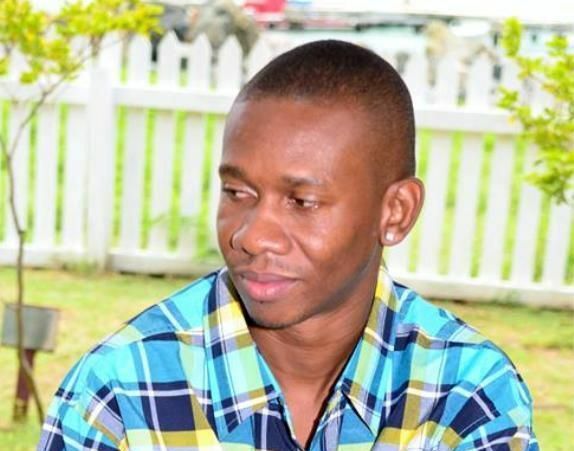 Todman, who had only celebrated his 34th birthday a little over two weeks ago, was an avid power boat racer and was also involved in a previous boating accident in August 7, 2011 from which he fully recovered after receiving medical treatment. Todman leaves to mourn, his girlfriend Preta and their 5-month old son along with numerous relatives and friends. 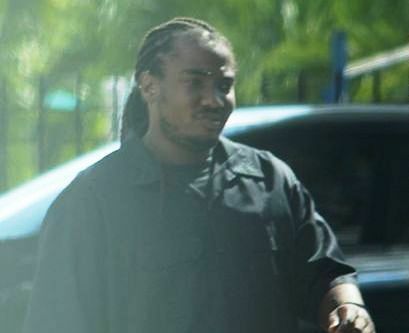 Todman and Claxton had both been fixtures at the Magistrate’s Court over the past several months after being levelled with several gun and drug related charges along with two other men stemming from an alleged April 2012 incident. The men have all denied the charges. Claxton was also charged separately with assault earlier this year in conjunction with another man in another matter involving a missing samurai sword. Both men pleaded not guilty to the charges. ROAD TOWN, Tortola, VI- Word reaching Virgin Islands News Online is that one person is dead and another injured following a boat accident at Jost Van Dyke some time this afternoon, September 1, 2013. Information regarding the circumstances of the accident is sketchy at this time but hospital sources have confirmed that one person is dead and another injured. The dead man has reportedly been identified as Chaim Todman while the injured person is said to be Mustafa Claxton, who is reportedly listed as being in a stable condition. Virgin Islands News Online is working on more details to this story. My deepest condolences to the Todman family. Chaim was a remarkable and immensely talented young man. I will miss him greatly. This is the same young man that was involved in a similar boating accident. Chaim!!!! Chaim! !, Chaim Chaim bro I'm lost for words! scooter guys and boat guys I am asking you to be very careful and take your lives more seriously!!!!! So sad to hear my deepest condolences to his mom ,dad and rest of the Todman family. r.i.p this one is sad for real. tis always sad when a mother and father have to bury a child...get well soon moose!! I am deeply sadden by the news of Chaim's passing. He was a friend and a talented young man. My heartfelt condolences to the Todman family. Chaim rest with the Lord until we meet again. What a day to be sitting at home and we know hes out on the sea with friends and to get a called accident JVD not knowing these four guys are the ones in this accident. My condolences to the Todman family, and especially to those young children he leave behind. I do hope he bought some life insurance to provide for those he left behind. Concerned, you is the best. My thing is that I just dont know what does be the problem with these men not paying social security knowing that their wives and kids would benefit from it if they pass away. People, please note that I am not speaking about Chaim. Just a general comment. rip chaim..to his family..i pray for God's comfort in this trial time! I really didnt want to believe this...What kinda story is this....wha kinda wave hit this boat that could do such damage....was it a tsunami? if the darm event cancel what the hell they doing over there...Lord accept his soul he belongs to you have mercy father for my brother. Its sad what happen to the young man, very sad, lots of condolences to the family & friends of the late Chaim. Its still safe for boating and sunday limes, (Just have to be careful) sometimes the water is perfect and we want to push the boat to its limit "but" Just have to be careful. I know its all party and drinking and having fun, but still (Just have to be careful) The captain who run's the boat or drive the car to party were drinking and crazy fun is taken place should have a bit more responsible for himself and other "but" we do get carry away sometimes. at the end of the day (Just have to be careful). Its could have been any of us who like to party/boating we just Have to be careful. Government needs to look into boat safety more seriously because too many youth getting mash-up. RIP to you mi boy. Prita, stay strong and let lil man know da he had a great dad! My condolences to his family! God give this young man a second chance in life and he took it for granted. I do hope that your soul find some peace. Jehovah u just called to your side yet another one of your brothers keep him in your arms. This family has suffered such tragedies. So many of their young ones have passed; be it gunned down or accident. Wow, Real sad. Sigh LORD WHY? ANOTHER ONE GONE AGAIN! R.I.P CHAIM YOU WILL BE SURLY MISSED HMM CANT FIND THE WORD TO SAY BUT RIP UNTIL WE MEET AGAIN !!! AND MUSA PULL THROUGH! CHAIM THE HURRICANE CREW WILL SURLY MISS YOU!! REST IN PEACE CHAIM.....WISH I WAS THERE TO COMFORT YOU UNA....STAY STRONG AND KEEP LEANING ON GOD. LOVE YOU ALWAYS. life is unfair i guess.